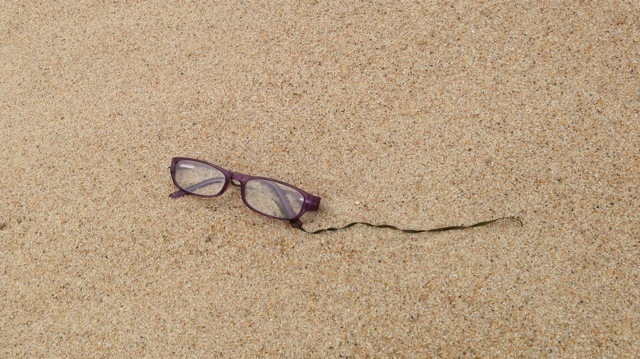 Have you ever wondered about all the stuff you find on the beach? I have. For instance, what are these? They are called beach balls! Or ‘whale burps’. They are formed from sea grass and other things rolled together in the surf. You can see them scurry across the sand when its windy. Beach balls are seen world wide and come in varied sizes. 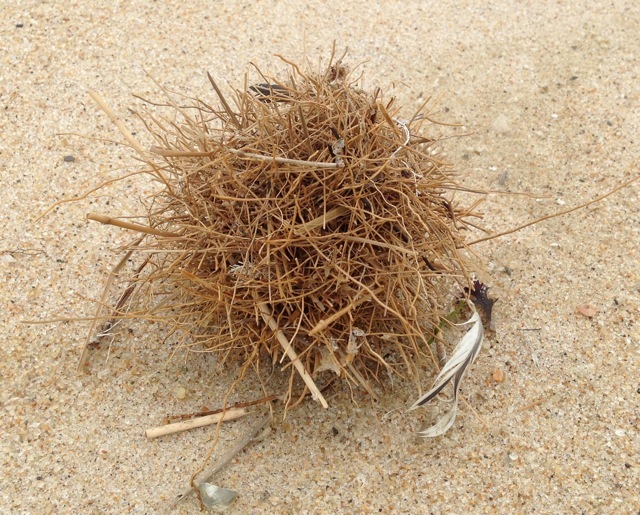 On our beaches they are usually 4-8 inches in diameter. Here is another curiosity which we call ‘beach spaghetti’! It is green fleece sea weed, washed ashore in bundles. The tangles make for interesting formations. 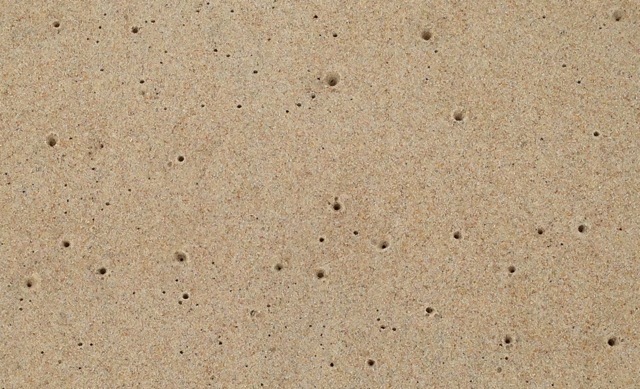 What about these pin holes in the sand? Are they created by crabs or other creatures? Probably not. Most likely these ‘nail holes’ are air vents for air trapped between layers of sand close to the surf. 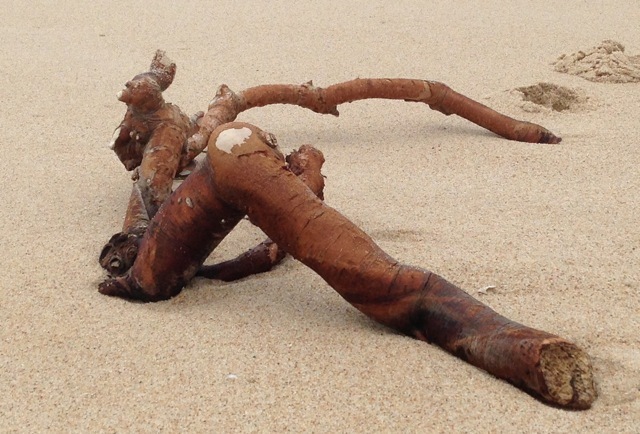 Roots and other drift wood can provide for beautiful pieces of natural sculpture. Finally, I found a very special type of beach glass on a recent walk… a beach with vision?